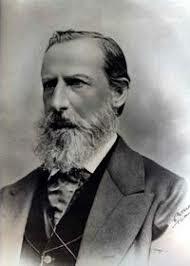 Today is the birthday (1814) of Henri Nestlé (born Heinrich Nestle), a German-born Swiss confectioner and the founder of Nestlé, now the world’s largest food and beverage company. Nestlé’s contributions to the company he founded were rather modest although he was one of several inventors of condensed milk. His chief contribution, however, was his method of dehydrating milk. Heinrich Nestle was born in Frankfurt am Main, Germany, the eleventh of fourteen children of Johann Ulrich Matthias Nestle and Anna-Maria Catharina Ehemant. Nestle’s father, by tradition, inherited the business of his father, Johann Ulrich Nestle, and became a glazier in Töngesgasse. His brother, Gustav Edmund Nestle, was later Lord Mayor of Frankfurt am Main. The Nestle family has its roots in western Swabia, predominantly in boroughs of the Black Forest such as Dornstetten, Freudenstadt, Mindersbach, Nagold, and Sulz am Neckar. In the Swabian dialect, “Nestle” is a small bird’s nest. The name Nestle also has different variations, including Nästlin, Nästlen, Nestlin, Nestlen, and Niestle. 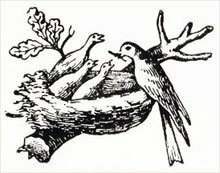 The recorded Nestle family tree began with three brothers (thus the three young birds in the nest being fed by their mother on the family coat of arms) from Mindersbach, called Hans, Heinrich, and Samuel Nestlin. The father of these three sons was born around 1495. Hans, the eldest, was born in 1520 and had a son with the same name, who later became mayor of Nagold. His son Ulrich was a barber and his fifth son was the first glazier in the family. For over five generations, this profession was passed down from father to son. Additionally, the Nestles provided a number of mayors for the boroughs of Dornstetten, Freudenstadt, Nagold, and Sulz am Neckar. 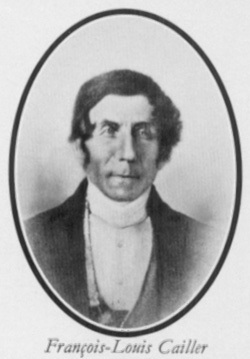 Before Nestlé turned 22 in 1836, he had completed a four-year apprenticeship with J. E. Stein, an owner of a pharmacy. Although the exact date is unknown, at some stage between 1834 and 1839 he moved to Switzerland. At the end of 1839 he was officially authorized to perform chemical experiments, make up prescriptions, and sell medicines in Lausanne. 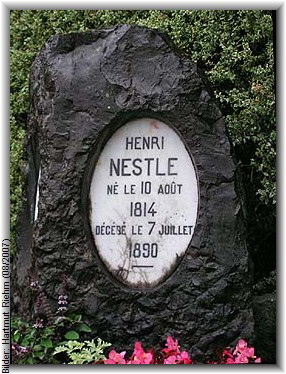 During this time, he changed his name to Henri Nestlé in order to assimilate better into the French-speaking society of Vevey where he eventually settled. In 1843 Henri Nestlé bought into one of the region’s most progressive and versatile industries at that time, the production of rapeseeds. He also became involved in the production of nut oils (used to fuel oil lamps), liqueurs, rum, absinthe, and vinegar. He also began manufacturing and selling carbonated mineral water and lemonade, although during the crisis years from 1845 to 1847 Nestlé gave up mineral water production. In 1857 he began concentrating on gas lighting and fertilizers. It is not known when Nestlé started working on his infant formula project, although by 1867 he was able to produce a viable powdered milk product. His interest is known to have been spurred by several factors. Although Nestlé and his wife were childless, they were aware of the high death rate among infants, and he was aware of Justus von Liebig’s work in developing an infant formula. Malnutrition among poorer women, leading to poor lactation, plus the limited availability of fresh cow’s milk in burgeoning cities, made a replacement for mother’s milk desirable to prevent infant mortality. These days, baby formulas (Nestlé’s in particular) have come in for severe criticism quite simply because natural mother’s milk contains so many beneficial ingredients that cannot be replicated in formulas. But in Nestlé’s day infant formula was literally a life saver. 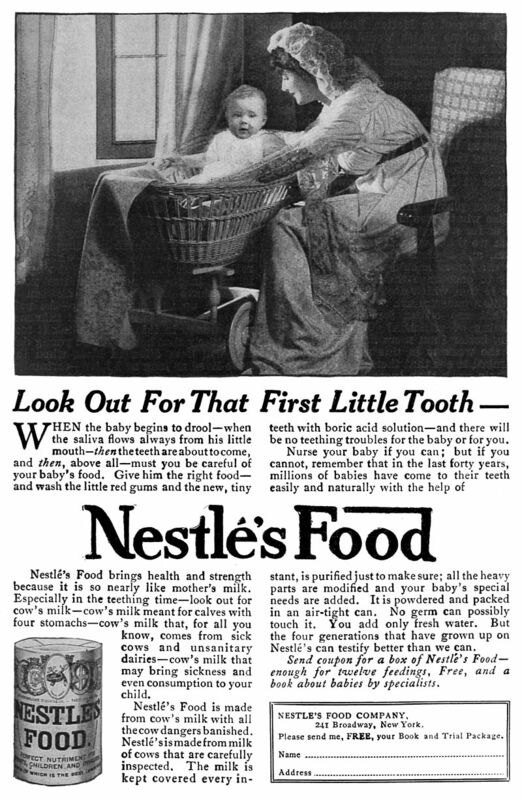 Nestlé combined cow’s milk with grain and sugar to produce a substitute for breast milk. Moreover, he and his friend Jean Balthasar Schnetzler, a scientist in human nutrition, were able to perfect a process that removed the acid and the starch in wheat flour which were difficult for babies to digest. Initially called “kindermehl” (child flour), his product had an advantage over Liebig’s “soup for infants” in that it was much easier to prepare, only needing to be boiled prior to feeding, and it soon proved to be a viable option for infants who were unable to breast feed. People quickly recognized the value of the new product and soon Farine Lactée Henri Nestlé (Henri Nestlé’s Milk Flour) was being sold across Europe. In 1867 Daniel Peter began seven years of work perfecting his invention, the milk chocolate manufacturing process. 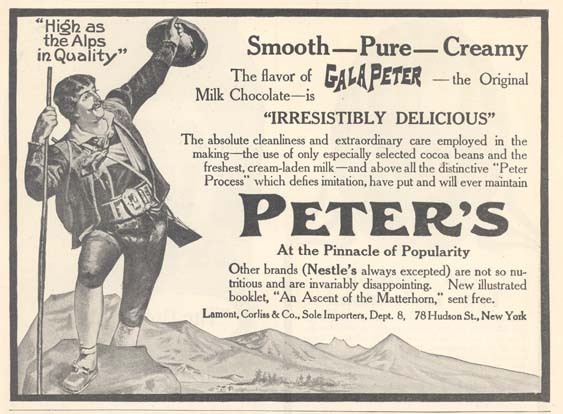 Nestlé was the crucial partner that Peter needed to solve the problem of removing all the water from the milk added to his chocolate and thus preventing the product from developing mildew. Also 1867, Charles (US consul in Switzerland) and George Page, two brothers from Lee County, Illinois, USA, established the Anglo-Swiss Condensed Milk Company in Cham in Switzerland. Their first British operation was opened at Chippenham, Wiltshire, in 1873. In 1877, Anglo-Swiss added milk-based baby foods to their products; in the following year, the Nestlé Company added condensed milk to their portfolio, which made the firms direct and fierce rivals. 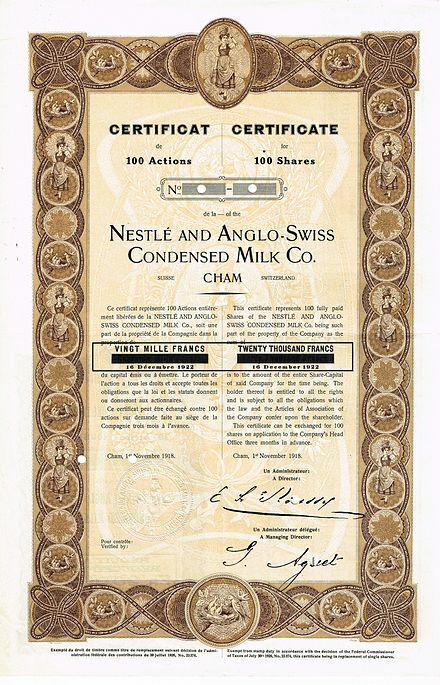 In 1905, the companies merged to become the Nestlé and Anglo-Swiss Condensed Milk Company. This was the beginning of a century of mergers of various food companies that eventually made Nestlé the largest food corporation in the world. It rather amuses me that the name Nestlé survives despite the fact that Henri had no children and he sold his company in 1875 to unrelated business associates who retained his name. Since then there has never been any association between the company and the family. Furthermore, Nestlé was just a Frenchified version of Henri’s German name which no one else bore. Yet now it is a household name. After retirement Henri lived with his family alternately in Montreux and Glion, where they helped people with small loans and publicly contributed towards improving the local infrastructure. In Glion he moved into a house later known as Villa Nestlé. He died of a heart attack in Glion on July 7th, 1890. He was buried at Territet Cemetery in Montreux. 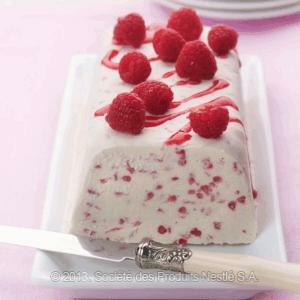 While it may seem craven I am going to point you to the Nestlé website for a recipe today. This is the link to their condensed milk recipes. You should find something you like and it would be a suitable way to honor the founder of the company and its milk products. On this date in 1499 Switzerland became an independent state, effectively (although not fully legally) free from rule by the Habsburgs of the Holy Roman Empire. The history of the formation of Switzerland as an independent nation state is complex but can be boiled down to a few essentials. Originally there was the Old Swiss Confederacy which was an alliance among the valley communities of the central Alps. The Confederacy facilitated management of common interests and ensured peace on mountain trade routes. 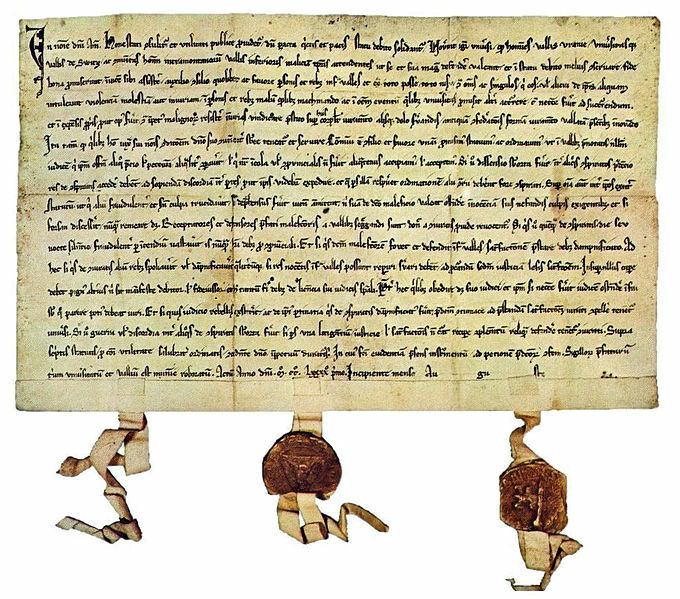 The Federal Charter of 1291 (photo above), agreed upon by the rural communes of Uri, Schwyz, and Unterwalden, is considered the confederacy’s founding document. This inaugural confederation grew, through a long series of accessions, into modern Switzerland. The map below shows the original Confederacy in dark olive, and later acquisitions in various colors identified by the map’s key. By 1353, the three original cantons had joined with the cantons of Glarus and Zug and the Lucerne, Zürich and Bern city states to form the “Old Confederacy” of eight states that existed until the end of the 15th century. The expansion led to increased power and wealth for the federation. By 1460, the Confederacy controlled most of the territory south and west of the Rhine to the Alps and the Jura mountains, particularly after victories against the Habsburgs (Battle of Sempach, Battle of Näfels), and over Charles the Bold of Burgundy during the 1470’s. The Swiss victory in the Swabian War(also called the Swiss War) against the Swabian League of Emperor Maximilian I in 1499 amounted to de facto independence within the Holy Roman Empire. Maximilian signed a peace treaty on 22 September 1499 granting Switzerland freedom from imperial control. Expansion continued throughout the 16th and early 17th centuries until in 1648, under the Peace of Westphalia, European countries fully and legally recognized Switzerland’s independence from the Holy Roman Empire and also its neutrality. Because of the piecemeal manner in which the state was formed Switzerland is something of a cultural patchwork, even today represented by regional, linguistic, ethnic, and political diversity. Yet like an elaborate quilt it has a degree of unity within diversity. Generally when people think of Switzerland they think of certain iconic features, such as, peace movements, neutrality, chocolate, cheese, and cuckoo clocks (as well as fine watches). All of these features are iconic for a reason, of course, but their history does not always follow a straight path. Let us consider peace and neutrality for example. People who don’t know their European history are usually unaware that from the Late Middle Ages through the Reformation, Swiss armies and Swiss mercenaries were the most feared troops in all of Europe. Swiss mercenaries (Reisläufer) were valued throughout Late Medieval Europe for the power of their determined mass attack in deep columns with the pike and halberd. Hiring them was made even more attractive because entire ready-made Swiss mercenary contingents could be obtained by simply contracting with their local governments or the various Swiss cantons—the cantons had a form of militia system in which the soldiers were bound to serve and were trained and equipped to do so. Some Swiss also hired themselves out individually or in small bands. The Swiss, with their head-down attack in huge columns with the long pike, refusal to take prisoners, and consistent record of victory, were greatly feared. Machiavelli addresses their system of combat at length in The Prince. The Valois Kings of France, in fact, considered it a virtual impossibility to take the field of battle without Swiss pikemen as the infantry core of their armies. The young men who went off to fight in foreign service had several incentives—limited economic options in the still largely rural cantons; adventure; pride in the reputation of the Swiss as soldiers; and finally what military historian Sir Charles Oman describes as a pure love of combat and war fighting in and of itself, forged by two centuries of conflict. So much for peace loving clock makers. Between the Peace of Westphalia in 1648 and the Congress of Vienna, which ended the Napoleonic Wars in 1815, Swiss neutrality was largely a contingency measure for self defense. In other words, Switzerland hovered between the stances of militarism and pacifism as the best means of national protection. In 1815 pacifism won and has remained national policy ever since despite occasional outside attacks. Switzerland does have a strong army, though, and attempts to eliminate it have been met with strong popular resistance. All male citizens are required to perform military service (or some approved alternative). 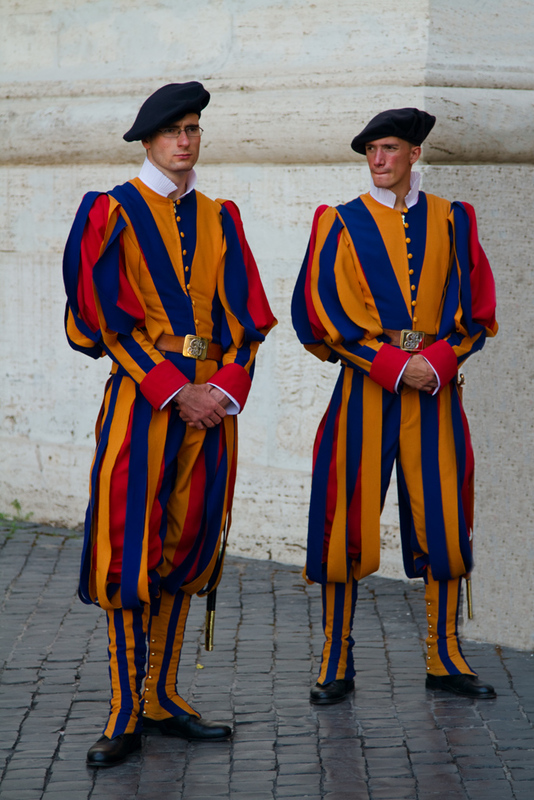 The Swiss army also provides the personal guard for the Vatican, a legacy from old mercenary days when Swiss guards were frequently hired by Europe’s monarchs. Yet the Swiss army is something of an anomaly in that soldiers must secure their weapons at home, and are forbidden from carrying them except during training. An army without guns – refreshing. The Swiss are the greatest consumers of chocolate per capita in the world. In many supermarkets whole aisles are devoted to nothing but chocolates, and chocolate shops abound in all urban centers. The Swiss try to lay claim to the invention of solid chocolate bars, but they can take only partial credit. From the time that chocolate was brought from the Americas to Europe until the 19th century, chocolate was consumed as a drink by the wealthy classes. Some time around 1800 chocolate producers in Turin began making chocolate in solid form for the first time. These chocolates were small, dark, and rather bitter – a novelty. François-Louis Cailler from Switzerland first tasted Italian chocolate at a local fair and subsequently spent four years in Turin learning the art of chocolate making. When he returned to Switzerland, he set up the first Swiss chocolate factory in Corsier, near Vevey in 1819. His great innovation was the development of a smooth chocolate that could be formed into bars. This was a worldwide sensation. In 1875, Daniel Peter, a candlemaker whose business was failing due to competition from oil lamps, had the idea of combining chocolate with his neighbor’s, Henri Nestlé’, powdered milk (then sold as baby formula) to make milk chocolate. Cailler and Peter eventually merged with the operation of Charles-Amédée Kohler (the inventor of hazelnut chocolate) to form the firm of Peter, Cailler, Kohler. The chocolate makers relied on Nestlé to provide milk products (including sweetened condensed milk), and so eventually the two merged under the Nestlé name. The Dutch and English both had a hand in the 19th century development of chocolate manufacure, adding processes to Swiss chocolate making. So in the end the modern chocolate bar is the product of international effort. If you grew up in the United States you might be forgiven for thinking that Swiss cheese is just one product. 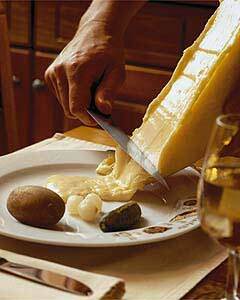 In fact there are over 450 different cheeses produced in Switzerland almost all of them from cow’s milk. The stuff with holes in it found in every U.S. supermarket dairy case is a pale imitation of Emmental, a genuine Swiss cheese (also with holes), and quite toothsome. Then there is Gruyère which is a fine melting cheese which, with Emmental, features in the signature Swiss dish, cheese fondue. It’s also ideal for quiches, and is the customary topping for onion soup in France. Those two are fairly well known, but they barely scratch the surface. There’s Raclette , a round cheese which conventionally is heated, either in front of a fire or by a special machine, then scraped on to diners’ plates. Or there’s Berner Alpkäse, made from milk produced in a limited number of farms in the Alps, and redolent of the mountain herbs on which the cows graze. Perhaps my favorite is Schabziger, or Sapsago, exclusively produced in the Canton of Glarus. It comes in a distinctive cone shape and is flavored with the wild herb blue melilot, also called blue fenugreek which gives it a green tinge. I like it grated over pasta, but it is more usually mixed with butter as a spread. Switzerland is divided unequally into four cultural regions based on the predominant language spoken: German, French, Italian, and Romansh. The cuisines of these four regions are distinct, but there are also overlaps. Italian pasta, for example, is popular throughout Switzerland. Some dishes are much more localized. 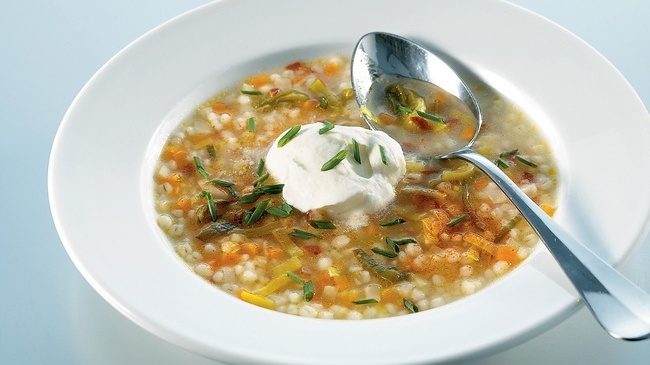 Since I am a big fan of barley soups I have chosen Bündner Gerstensuppe, a barley soup from the Romansh region of Graubünden as my recipe of the day. If you use vegetable stock this will be a vegetarian dish. I prefer to use a light beef stock. It is not uncommon to find this soup make with ham hocks or bacon which you can add if you desire. Rinse the barley under running water and then leave to soak overnight. Heat the oil over medium heat in a large saucepan and sauté the celeriac, carrots, leek, and cabbage until they are softened but not . Add the barley and stock. Bring to the boil and then simmer for about 2 hours or until the barley is tender. Adjust the salt if necessary, add a few grinds of black pepper, and serve with a dollop of cream in the middle.